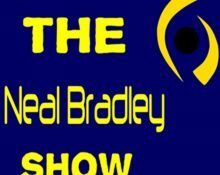 Voice of the Calloway County Lakers Blake Bernier talks high school football, NFL football, and his weekly fantasy do’s and dont’s. The Paducah Sun’s Ed Marlowe talks Murray State football, soccer, and volleyball, OVC football, and high school sports. Five Thirty Eight contributor Josh Planos talks college football, NFL, and one huge NBA development. Neal looks back at the win at EIU with post game player and coach interviews, plus recaps the weekend in the OVC, the week ahead, and gives a regional sports update. Blake Bernier talks high school football, NFL, Fantasy Football, and UK vs Texas A&M. The Paducah Sun’s Ed Marlowe talks Racer football, basketball, golf, soccer, and volleyball, plus some high school football and MLB conversation. Neal recaps the Racer win over UT Martin complete with post-game player and coach reaction, the weekend in the OVC as well as the week ahead, and gives you a regional sports update. Voice of the Calloway County Lakers Blake Bernier looks at this week’s high school football games, tonight’s NFL game, the NFL game of the weekend, and he gives his fantasy locks of the week.